Villa Agung Lembongan faces Lembongan’s lagoon and in the distance the beautiful Mount Agung volcano, after which it is named. 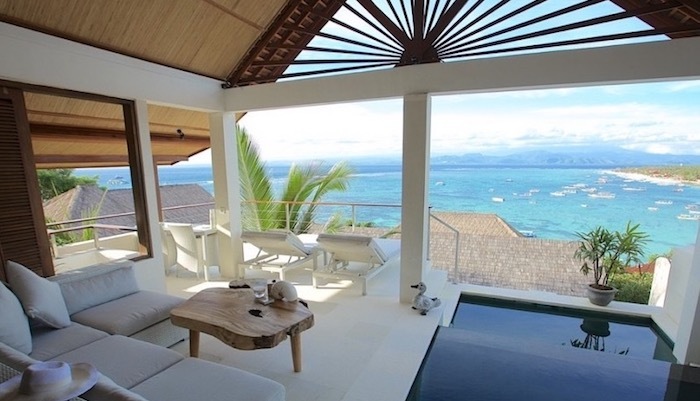 The villa is spacious, tastefully decorated and serves as a perfect base for the many activities Lembongan has to offer. Both bedrooms have a king size bed, AC, fans and a flat screen TV and DVD player. The Villa has a large entertainment area including a fully equipped open kitchen, bar and lounge, which all open onto the veranda and swimming pool (7mx3m). The lounge room contains a third television and DVD reader with a home cinema sound system. Enjoy dining with an ocean view on the villa veranda. At Villa Agung Lembongan, safe, fresh, clean and filtered water flows from the taps, a rare luxury in Nusa Lembongan. A manager is on call and the villa is serviced daily. Book your private villa for 2 days, a week or more and share our paradise. Discounts apply for stays over 7 days. 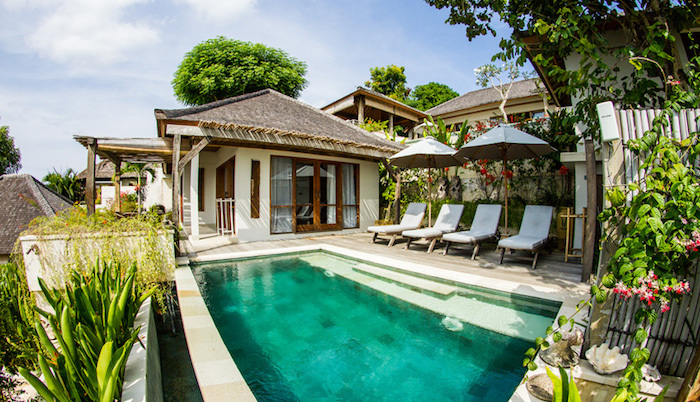 Villa Agung Lembongan has 2 bedrooms, both equipped with AC and fans. It has two bathrooms, a large entertainment area with a flat screen TV, home cinema sound system, Wifi, bar, lounge and dining. A cot can be provided free of charge.